One of my favorite nonfiction authors is Steve Jenkins. Students love reading his books and learning about all the different animal facts. The two I love best are Actual Size and What Do You Do With a Tail Like This? I have done several different activities after reading these books to my students including matching the animal to the part mentioned in the book to writing and art activities. 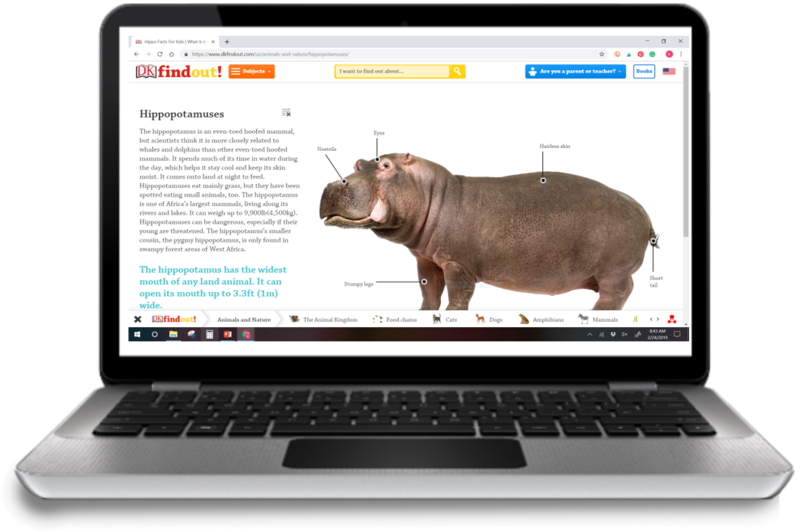 Since I bought a set of Chromebooks a few years ago (thank you book fair profit), I have been doing an animal research project with my second and third graders. 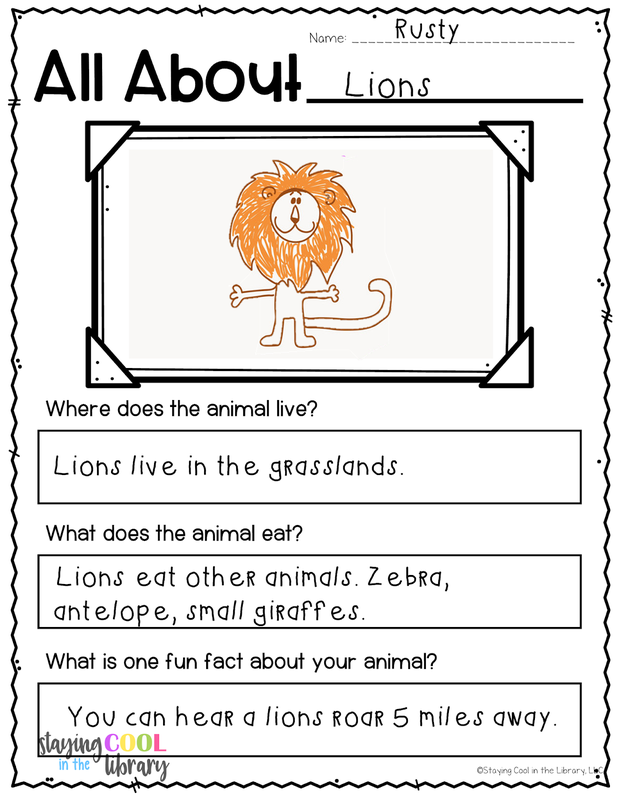 Students will select one of ten animals and use QR codes that I created to look up facts about the animal. 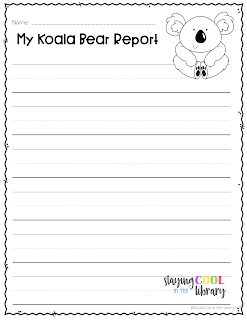 They record their notes and create a simple research report. I chose ten different animals from the book What Do You Do With a Tail Like This? Since I wanted students to do their research on the internet, I had to make sure that the websites they used were appropriate for them to use. This limited me in the animals that I could use. For example, the horned lizard is one of the favorite animals in the book because it squirts blood out of its eyes. But the websites I wanted to use didn't have much information about them. 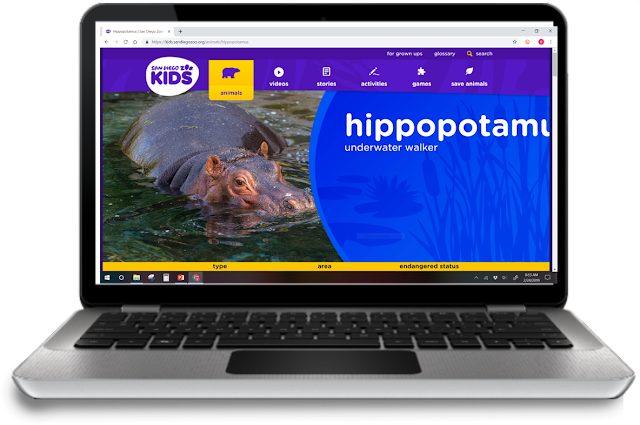 To read more about the websites I chose and other trustworthy sites for kids check out this blog post. 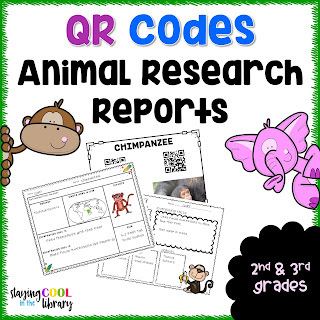 Once students choose their animal (sometimes I assign them) I hand out the QR code sheet and the page for them to record their notes. You can laminate the QR codes and they will still scan. To scan the QR codes students can use the camera on their Chromebook or iPad. There are quite a few different QR code websites or Chrome extensions you can use. Here are two that I have used. A tip: students may have see a pop-up that asks for permission for the website to use the webcam. They will need to click allow or accept to scan the code. Then students will visit the sites and fill in their research templates. 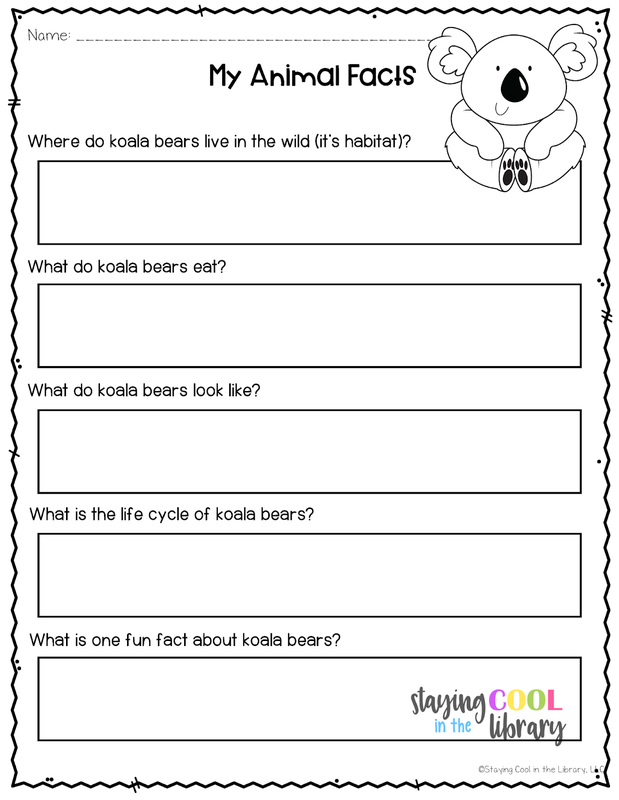 I included 2 research templates (one page for each animal). 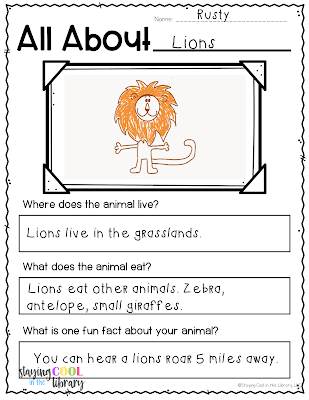 One set has a question for students to write in the fact they learned about the animal from the book. 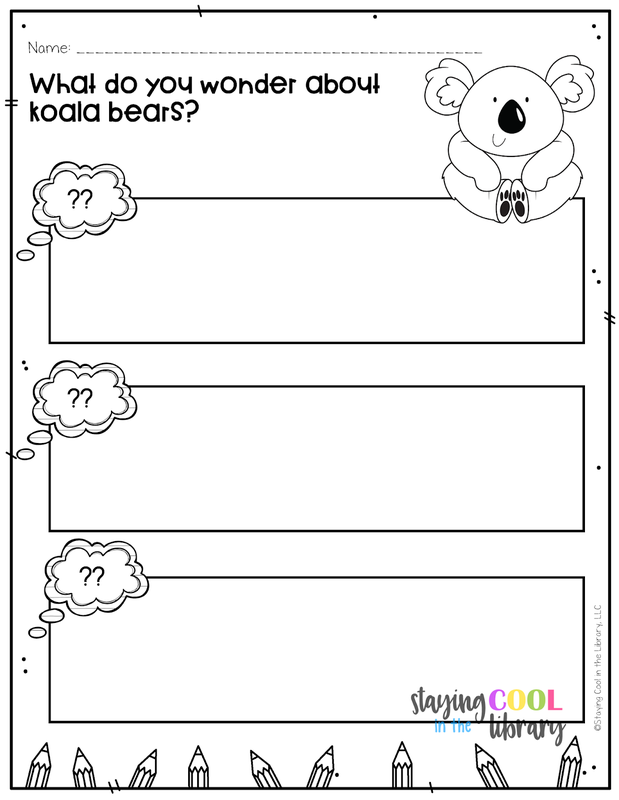 The second set has a different option for students to write 3 adjectives describing the animal. This way you can use these pages without the book. You can also set this activity up as a center activity and have students use nonfiction books about the animals as well as the websites. 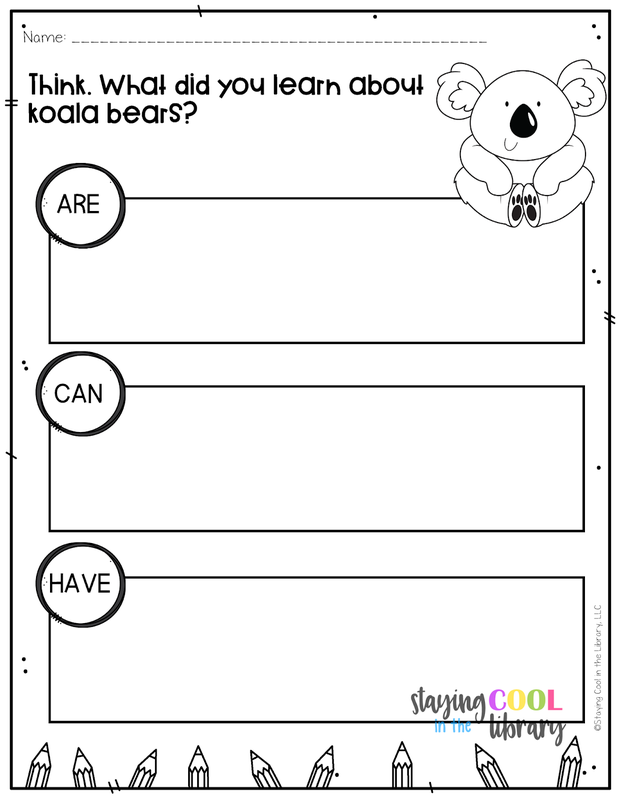 You can purchase these research templates from my TpT store or my website store. Ready to do some animal research? Finding trustworthy and appropriate websites for students to use can be a challenge. 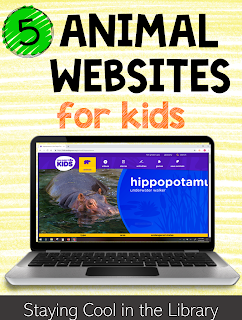 Below are my go-to websites that you can feel confident having your students go to. 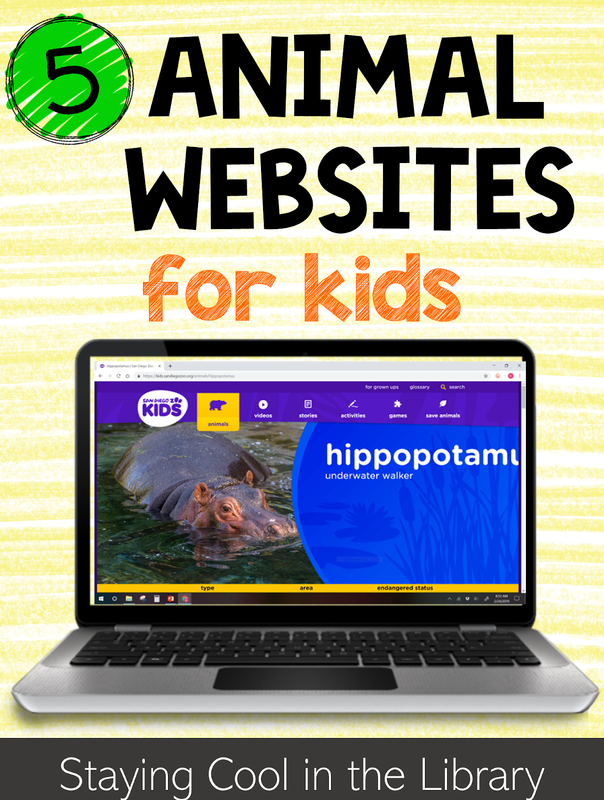 Most of these sites also have videos, games and other educational activities as well. These websites below do have some advertisements on them. You can find these products in my TpT store. What are your favorite websites? Let me know in the comments! We all know just how important it is to teach our students research skills. 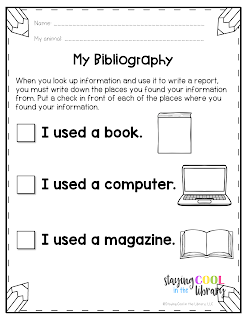 These include how to find information from print and digital sources, how to evaluate that information and how to use that information correctly. Over the next few weeks, I am going to write a series of blog posts providing ideas, advice, and resources that you can use to teach research skills to all your students, including your youngest. 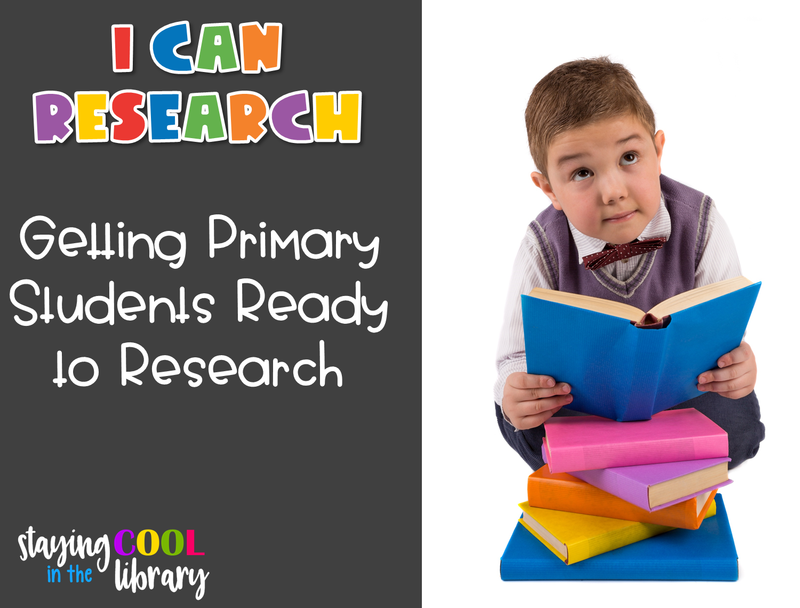 With kindergarten and first graders I like to use the term research-readiness. I want to teach my students skills they will need that will help them to prepare to become researchers. 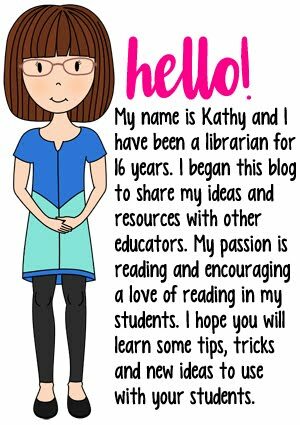 This includes learning about the difference between fiction and nonfiction, understanding that nonfiction text teaches us information, understanding that text features help us to find information quickly and how to begin to search for information on their own. These are things that can be taught all throughout the year in tiny, bite-sized lessons. Compare and contrast fiction and nonfiction books. Begin by sorting fiction and nonfiction books and then move on to sorting nonfiction books by topic. Combine this with discussing call numbers and how library books are organized. Read a fiction book to students about animals like Elephant and Piggie. Ask students if real elephants and pigs act that way. Do they go to parties and wear clothes? Book pairings: Read a fiction and a nonfiction book on the same subject and then discuss the differences between the two. 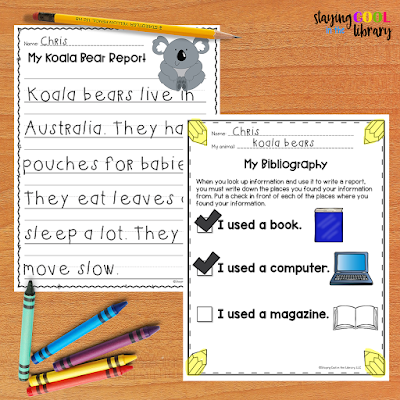 Read nonfiction books in your storytimes. Do picture walks before reading and have students make predictions about the text and discuss what they think they will learn from the book. 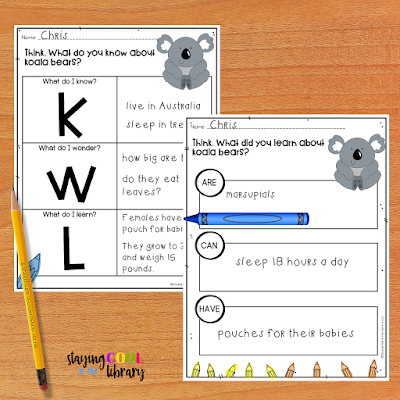 Create KWL charts together. 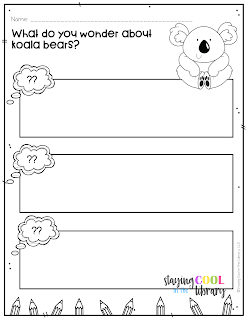 Have students complete graphic organizers and write or draw about something they learned about in the book. 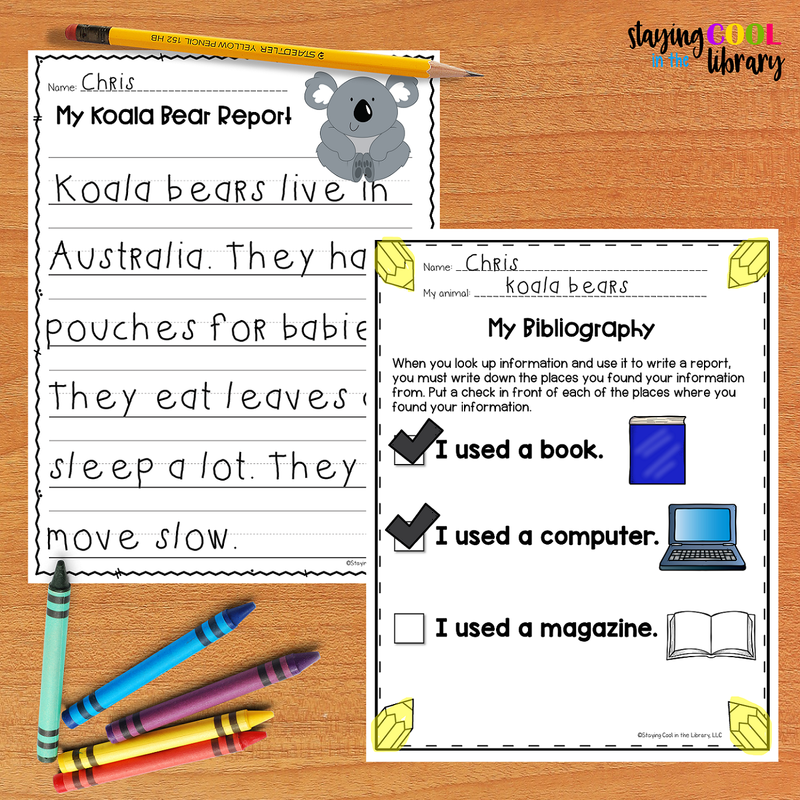 Introduce nonfiction text features with ebooks. As you read talk about how the book is organized and point out the different ways information is presented. Practice using the index and glossary. 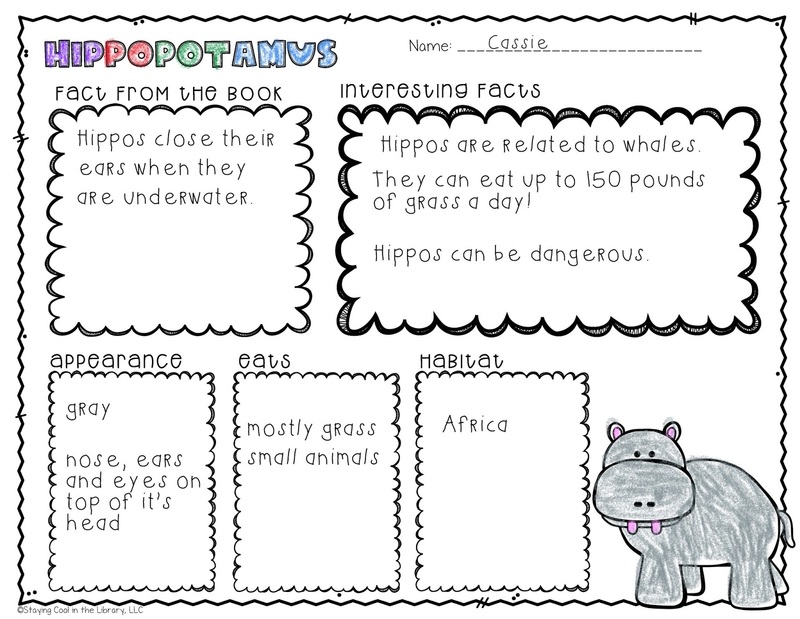 Give students time to explore nonfiction books in pairs or in groups. If you use centers, create a nonfiction literacy center. Take a book basket and put in books about a specific topic. Allow students time to just look through the books and read or pretend-read. If the books are about ocean animals you can include some cards with the name and picture of different ocean animals. Students can sort the pictures into different categories or play a matching game. Provide paper and crayons so they can draw and write about the books. Once your students have a good understanding of nonfiction and informational text it's time to do some simple research projects. Animals are one of the best topics for students to research. 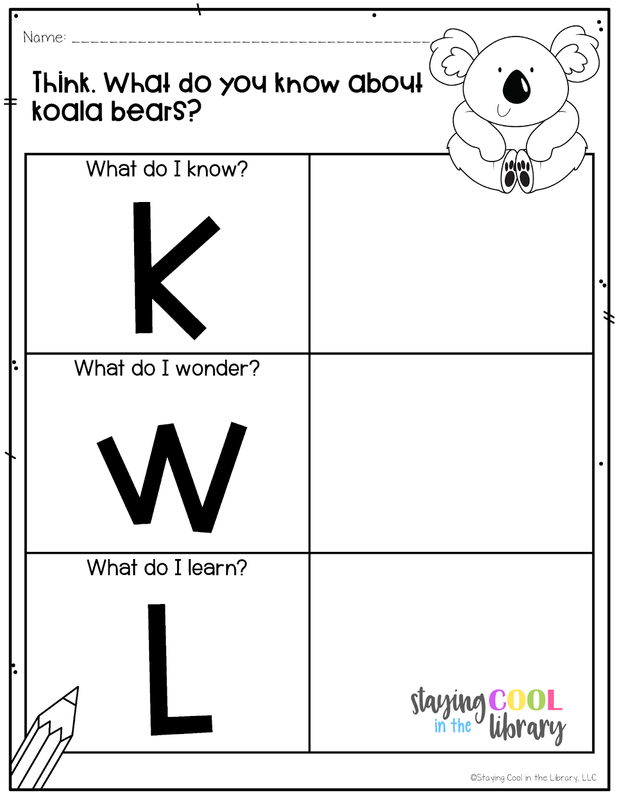 In my school, first grade visits the zoo in the spring, so I usually do a zoo animal project with them. 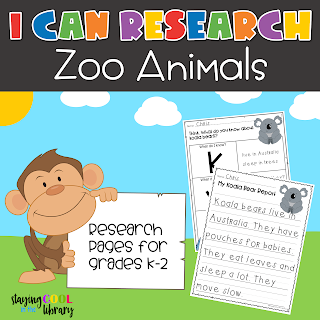 All of these templates can be found in my I Can Research - Zoo Animals pack. 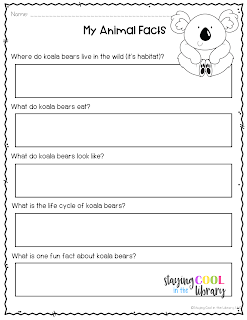 I begin by explaining to students that they will be looking up facts about a zoo animal. I will remind them that they are looking up facts (an elephant has a trunk or a cheetah runs fast). They will not be writing an opinion (penguins are cute). I found that this cannot be reinforced too often. Then I will show them the research pages they will be filling out. 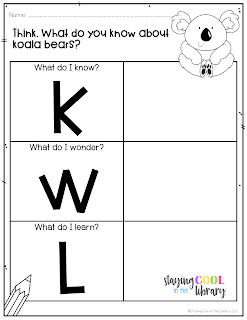 I will display a page on the SmartBoard and model how to fill it out. 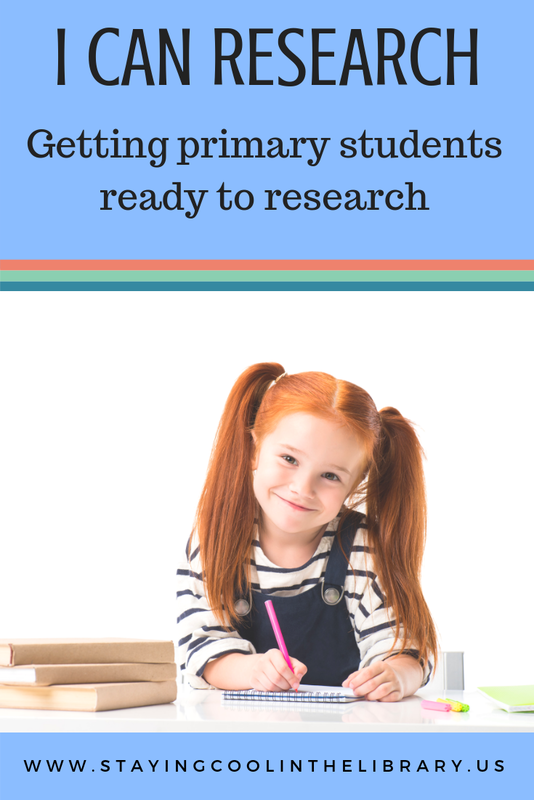 Below are two pages to help students prepare for their research, to think about what they know already and what they want to know. Side note: I do not always use these in the library. 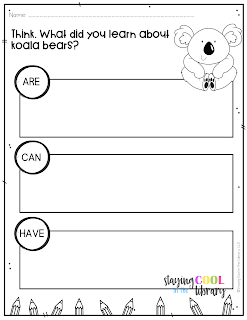 It can take a lot of time to have first graders fill these out, time that I just don't have. 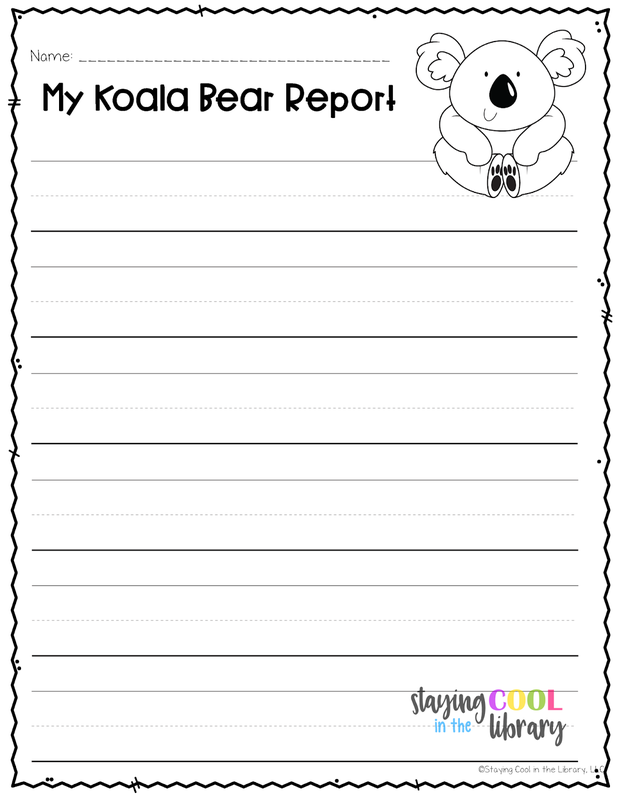 Next, I show them the pages where they will record their facts. I explain that they have four questions they want to answer: what is the animal's habitat, what does the animal look like, what does it eat, and what is it's life cycle? Then they will write one extra fact that they found interesting. I also included two different writing pages if you want the students to write up their facts. Many times the classroom teacher will do this with their students in class. 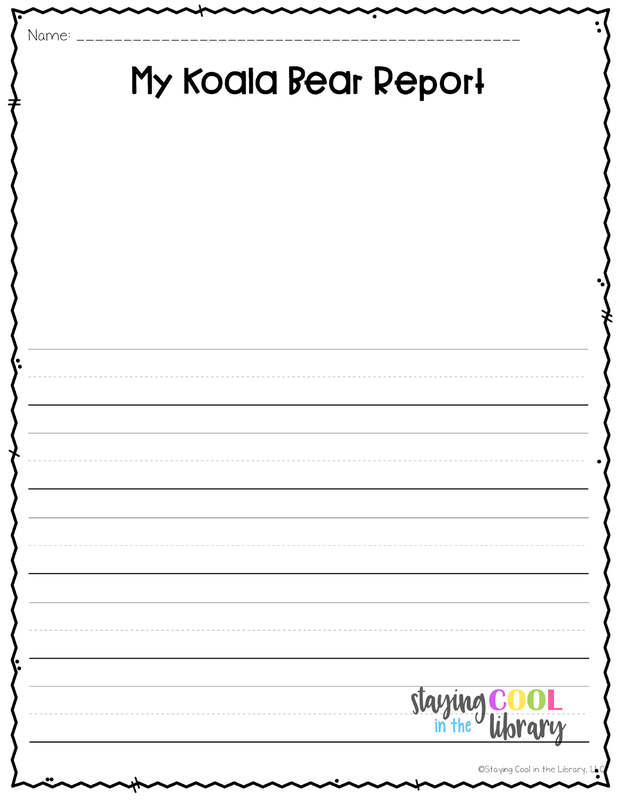 I will give her the papers the students filled out and she will do a more formal writing lesson. And I always end with the bibliography. The bibliography is very simple but important. I like to introduce the concept of copyright with my students as soon as possible. 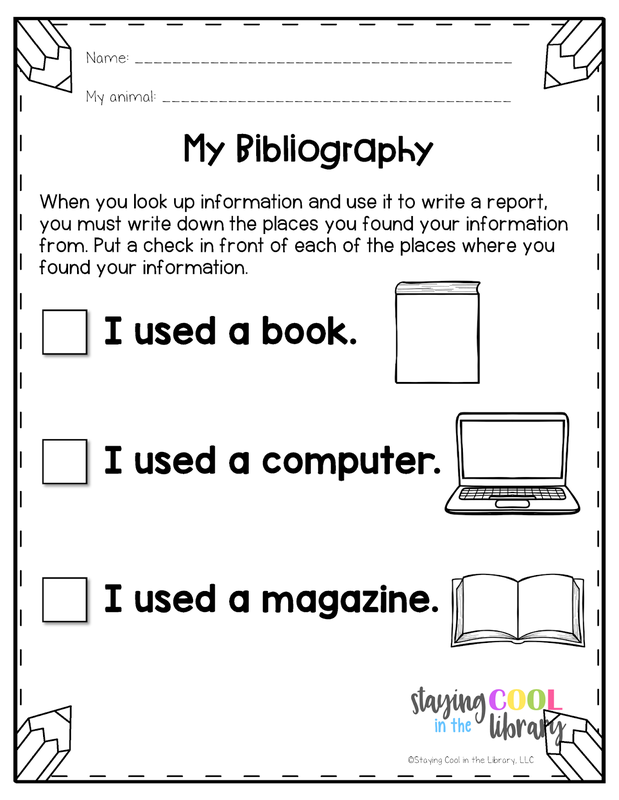 All they need to do to fill it out is put a checkmark in front of what they used to find their information (computer, book or magazine). 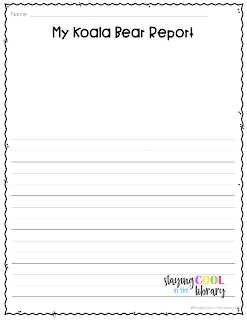 I created a one-page research graphic organizer for you to download. You can find it in the free resource library. I have several products in my store that teach many of the concepts mentioned above. Links to them are below.